Simplicity is the ultimate sophistication. 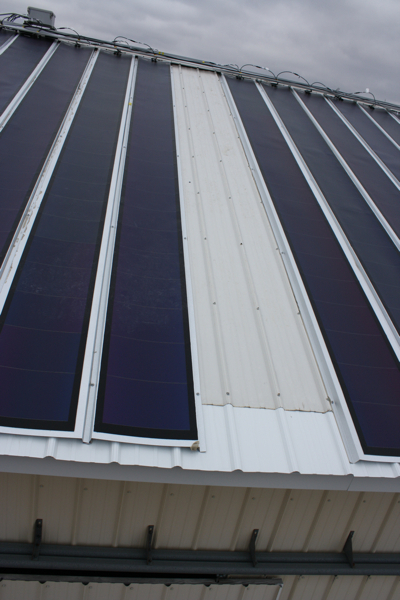 One of the latest technological innovations in solar metal roofing is the integration of solar roofing panel laminates with the standing seam metal roofing panels through the use of peel and stick method. 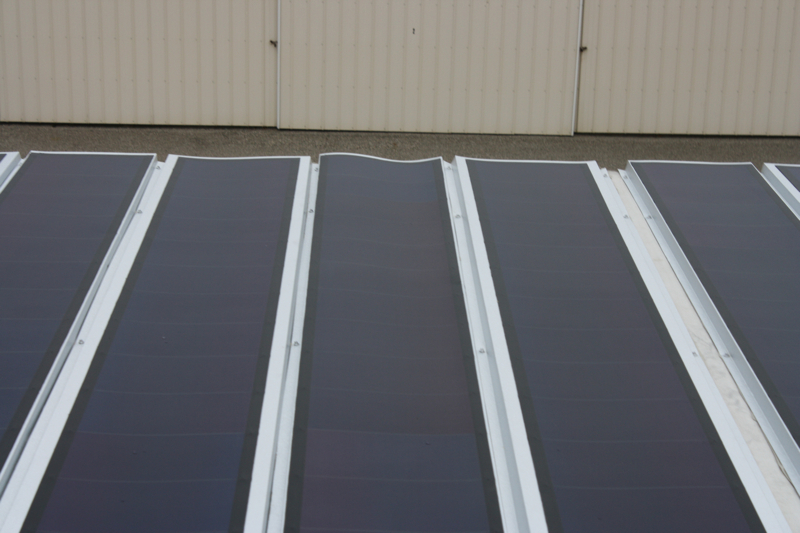 This simple solution is light weight and requires no penetrations to the roof. 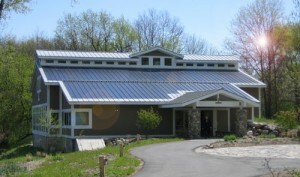 In 2004 we had the unique opportunity to install a photovoltaic system at the Vincent and Helen Bunker Interpretive Center on Calvin College’s campus. Since then we have completed several other energy efficient roofing projects with is the ultimate in green building projects.